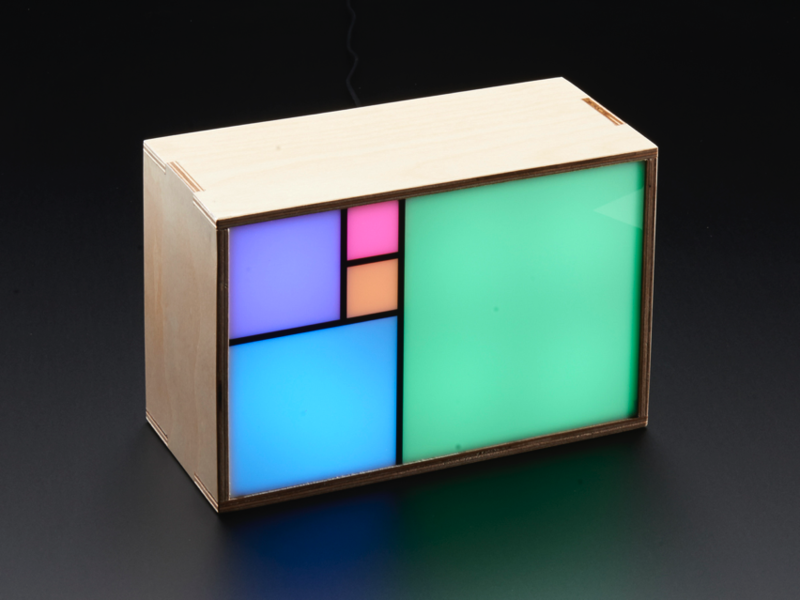 New Product – Fibonacci Clock Kit « Adafruit Industries – Makers, hackers, artists, designers and engineers! 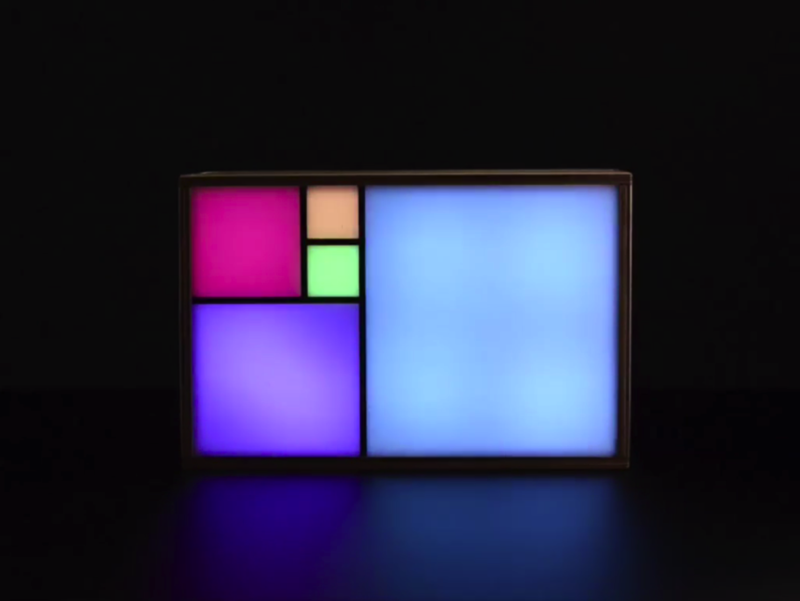 Here at Adafruit we love a good clock kit. We also love integer sequences, dating back to Sanskrit prosody, that are named after Italian mathematicians – which means we really love this clock kit! 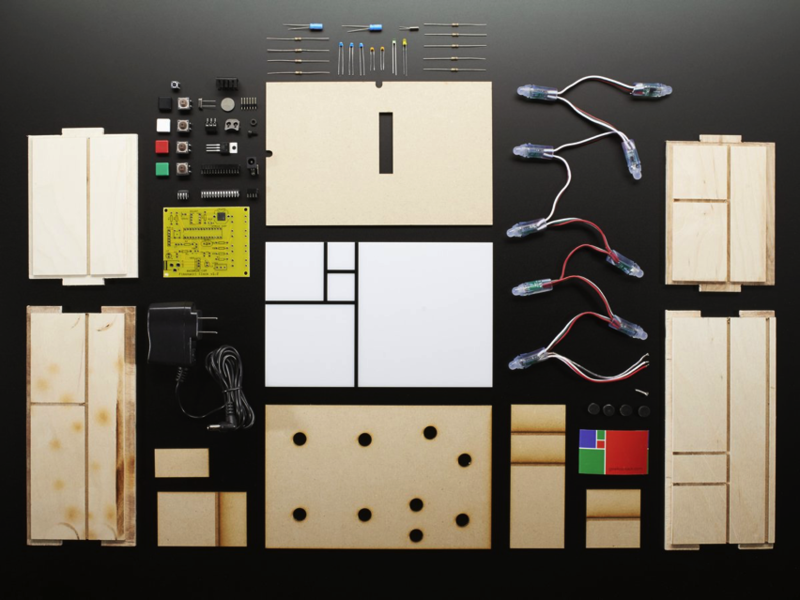 The Fibonacci clock kit contains everything you need to fully assemble a working Fibonacci clock. Inside, you’ll find the parts needed to assemble the enclosure as well as the components and LEDs needed to make your Fibonacci clock glow. This kit comes with the clock, a power cable, an enclosure, rubber paddings, and some components to make this clock work. You’ll need sand paper, glue, and some clamps to put the enclosure together and there is some soldering required. There’s an instruction booklet included and there’s a ton more information on the ‘Geekoclock’ support page. The clock is also open source so you can read more about the Fibonacci clock here. For product support, replacement parts and warranty visit the Geekoclock Support site.